We exceeded expectations in our first season back in Division One for over twenty years. 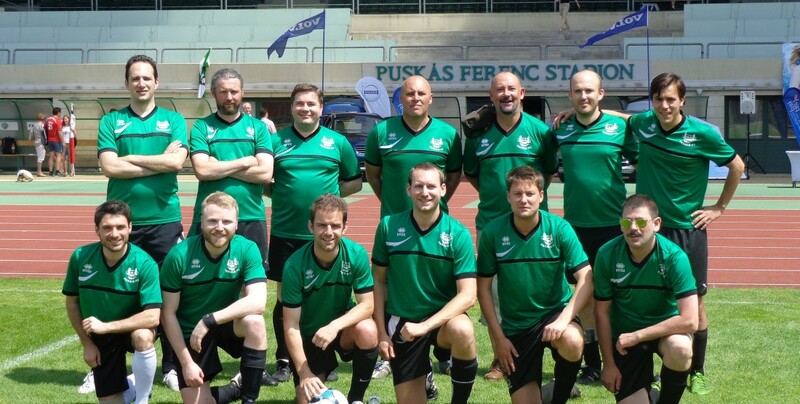 We ended up finishing fourth (from eight) behind ‘the big three’ of Aberdeen, Celtic and Middlesbrough and just ahead of, on goal difference, last year’s Division Two champions Boro 3s. We were tipped for relegation in the pre-season predictions on the APFSCIL league facebook group and we have thoroughly enjoyed ‘punching above our weight’. We didn’t acquire too many new players, the most notable was Dom Matcham, an ex-Argyle youth player and finalist from ‘Football’s Next Star’. Tim Lancaster also signed on the dotted line and made the right back spot his own; another ex Ivybridge player to join the ranks. We lost popular midfielder George Burnard before Christmas who moved to San Francisco. Luckily, the delay with his visa meant that he could play during the first half of the season. George has been one of PASALB’s most influential players in recent years and he is a huge loss. It was a superb season for Player of the Year, Tom Watkins. Tom is our main striker and scored over 20 goals in league and cup. He was the league’s top goalscorer and scored against almost every club in the league. Notable mentions must go to Luke Hildyard who has now played 10 seasons for the club and is a highly consistent performer across midfield and to Dave ‘Disco’ Ridgeway who has been with the club for 15 odd years and has played in almost every position. The highlight of the first half of the season was undoubtedly the 2-0 defeat of Celtic, last year’s Division One champions. A 30 yard volley from Ashley Clark sealed the victory. We also lost Ashley Clark in the New Year after he took a job with Sky Sports, working on Sundays. He still managed to finish fourth in the league goalscoring charts with eight goals from ten games. We made it to the cup semi-final beating old rivals Bristol City along the way. We lost 1-0 after extra time to Celtic conceding with five minutes to go, missing out on playing in the final which was held at AFC Wimbledon’s ground, Kingsmeadow. It was a very disappointing way to end the season but we have a lot to build on. We need to recruit and this has begun in earnest.